Splatoon 2 Global Testfire: Choose Your Weapon Trailers | Nerd Much? Come this Friday, Splatoon 2 is getting a Global Testfire and in anticipation of it, Nintendo Japan has posted some very informative videos about the various weapons you can use in the game. 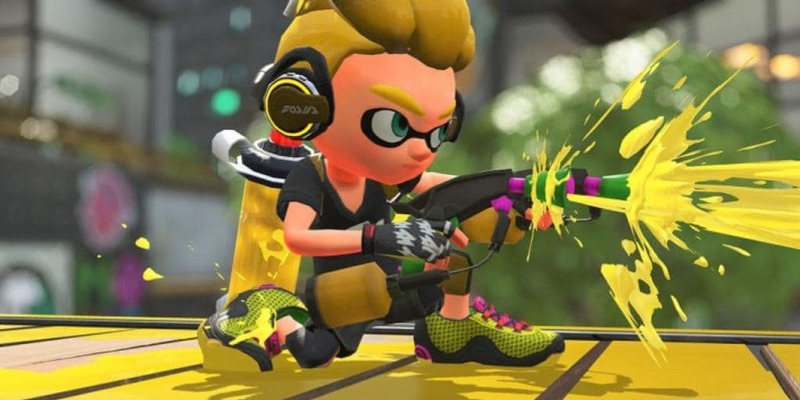 These weapons include the Splat Dualies, Splat Charger, Splat Roller, and Splat Blaster. The Dualies function as two rapid shooters, with a straight line ahead spread of paint. These are a great compromise between the huge spread of the Roller and the fast pace of the Blaster. The Charger is the sniper rifle of the game, good for picking off enemies in one powerful shot one at a time. The Roller, a familiar weapon if not much loved, both rolls paint onto the arena and throws a short line of it for a one hit attack or to travel faster to a certain area. The Blaster allows for a slower, single fire-rate than the Dualies and the spread of paint is not quite as large. This weapon is probably best for the beginner player to get used to the controls and still affect the session. Splatoon 2 will coming out to the Switch during this year’s Summer. I admit, seeing how these weapons have been revamped, make me all the more excited to play the game on Nintendo’s amazing new console. Which weapon will you choose? Will you be joining the Global Testfire? Let us know in the comments below!